Children were surprised to find a screwed up attendance certificate and the trophy missing from their classroom last week! Everyone had their own ideas about what had happened. We took time to share our ideas in small groups & worked hard to listen to each other and take turns. Next we fed back to the whole class. 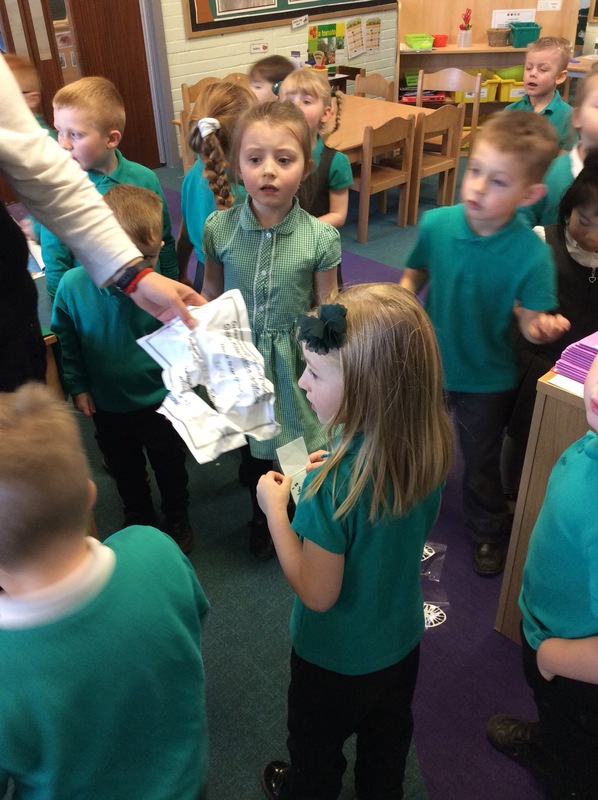 We first explored ideas about a robber entering school and how this wasn’t the case which led us to discuss all the things we do to keep us safe and secure in school. Next we explored thoughts about why another child may rip our certificate and in turn how someone may be feeling to do this. We explored the meaning of being jealous and thought of a time we have felt this way. Lastly some children began to talk about reasons they had not attended school. Some offered suggestions that children should come to school and the teachers can send people home if they feel their head and they are too hot. Others knew that going on holiday would mean we cant win the trophy or dance to the ‘celebrate’ song. How do you feel when you have had to take time off? Is there anything that would help you raise your attendance %? How did you feel when you won a certificate? What advice do you have to help Red Class deal with feelings of jealousy?